Baptiste Coulmont » How do immigrants name their children in France? Do immigrants give their children names from their country of origin or names that are similar to those given by the majority population in France? And what kinds of names do those immigrants’ children give their own children a generation later? 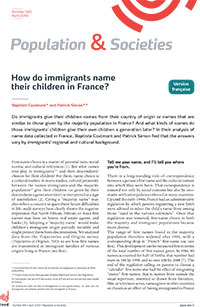 In their analysis of name data collected in France, Baptiste Coulmont and Patrick Simon find that the answers vary by immigrants’ regional and cultural background. 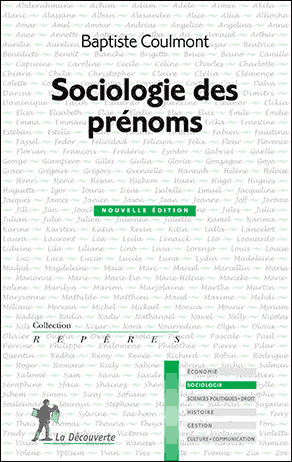 The first names chosen by the majority population and by immigrants’ descendants in France are not converging towards typically “French” names but rather towards international names that everyone can identify with. Many children and grandchildren of immigrants from North Africa continue to receive Arab-Muslim first names while some receive new first names (Yanis, Rayane, or Lina) that the majority population perceives as North African.